In between demon patrols and teaching self-defense classes to the local moms, Kate has to deal with a teenage daughter who's gung-ho on being a demon slayer in training and a toddler son entering a tantrum phase that rivals anything from the pits of Hell. 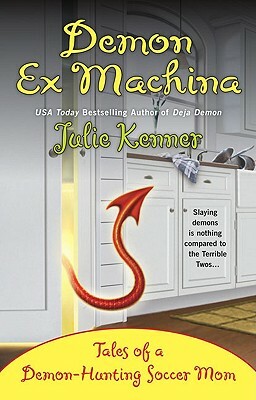 That's a lot for one woman to juggle, but on top of it all, Kate has to find a way to release the demon possessing her first husband, Eric, without destroying the man inside. Because if the demon within Eric gets free, it just might be more than one seriously stressed suburban mom can handle.